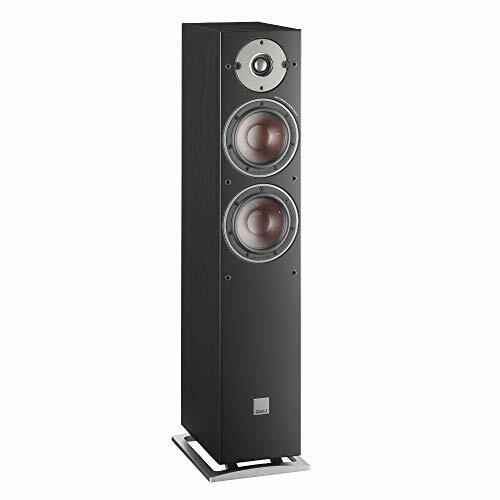 On the face of it, the Oberon 5 is a much more modest proposition than DALI’s traditional fare – the smaller of two floorstanders in a lineup just two tiers above its entry-level Spektor range. It’s the daintiest tower in the group and the tactile grain finish is a classy touch. The Oberon 5 is a simple two-way design, its brace of 130mm mid/bass drivers using the company’s proprietary wood fibre/paper-pulp cone tech and sharing the work load with a larger than usual 29mm soft-dome tweeter. Two lines of thought here: the cones are claimed to be high in stiffness and low in resonance, but just as importantly DALI’s engineers have devoted themselves to optimising the motor system to deliver exceptional clarity and dynamics. With a claimed sensitivity of 88dB/lW/lm and a nominal impedance of 6ohm, it is a friendly enough load that shouldn’t require much muscle to drive a typical living room to reasonable levels. 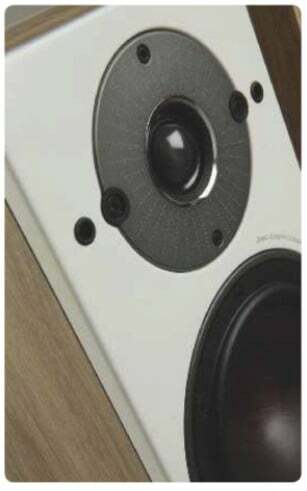 With its wide-dispersion tweeter, DALI says the Oberon 5 doesn’t need any toe-in towards the listening position, but I find a tiny amount works best in my room. The sense of enthusiasm, exuberance and fun is immediately apparent, and hooks you right into the moment like a Breaking Bad box set and quite simply refuses to let go. Lizz Wright’s interpretation of Seems I’m Never Tired Of Lovin’ You, a song more usually associated with Nina Simone, is a lovely thing. In part it’s warm and intimate, Wright’s plaintive and tender vocal floating over an achingly tasteful lite jazz arrangement with beautifully recorded piano, double bass, Hammond organ and guitars (electric and acoustic). The Oberon 5’s clear and resolute midband leaves you in no doubt this is a fabulously subtle and nuanced ensemble performance and its realistic handling of the double bass is as good as any here and remarkable for the speaker’s size. About half way through, the Atlanta church choir joins with appropriate soaring and exultant gospel zeal, but curiously in a less than flattering acoustic. The DALI proves to be the only speaker that makes a good fist of this, its gifts with separation, layering and microdynamics capturing what texture and body there is and saving the choir from sounding rather grey and papery. Perhaps the most likable thing about the Oberon 5 is the way is responds to whatever you play. It seems to be completely genre agnostic, ripping through the Muse sci-fi R&B epic Propaganda with unalloyed glee and drive yet dialling back to the deftest of touches for Diana Krall’s duet with Bryan Adams singing Randy Newman’s Feels Like Home, its powers of discrimination again resolving distinct identities when the pair are harmonising together. The driver materials, crossover design and geometry applied in the OBERON series has been selected to achieve a wide dispersion pattern. The rounded edges and rustic fabric of these new DALI front grilles add a lighter and more contemporary visual look to the OBERON series. The OBERON woofer features a wood fibre cone with a blend of fine grain paper pulp, reinforced with wood fibres, which creates a stiff, light-weight and well-behaving structure. In combination with a low-loss surround and spider suspension, this cone reproduces the micro details in the signal - unfiltered and with high accuracy. The iron pole piece of the OBERON woofer magnet is crowned by a patented SMC disk - minimizing the negative effects of the iron. Dali Oberon 5 speakers are a compact and elegant floor-standing pair, offering strong, powerful performance without dominating your room. Dali have applied their thorough engineering and honed the design to create the Oberon range - so it's little surprise they're causing a stir. Constructed from CNC-machined MDF, the Oberon 5’s floorstanding cabinet is designed to be very rigid, with solid bracings across the inside panels for reinforcement that contributes to the overall stiffness and practically eliminates resonance within the cabinet. To optimise timing, the Oberon 5 is fitted with acoustic damping material internally along the sides, top and bottom – but not on the rear side of the front baffle. This creates a more direct contact between the bass drivers and the reflex port and is said to result in a more precise bass and increased ‘attack’ in the midrange. 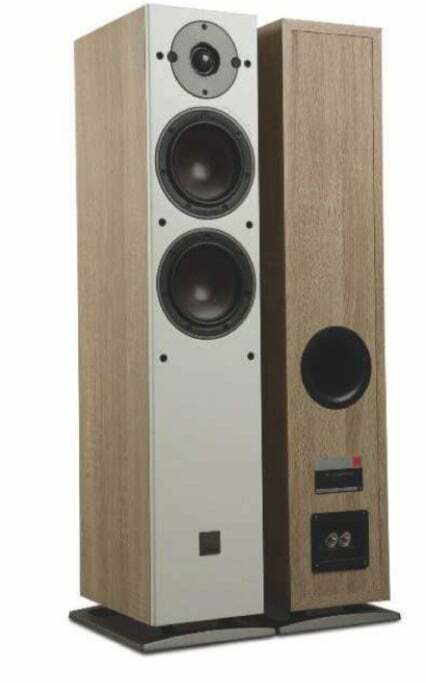 The Oberon 5’s large reflex port is situated on the rear, DALI preferring to optimise room integration by utilising the wall to augment bass performance. As such it can be positioned reasonably close to boundaries, continuing DALI’s reputation for producing loudspeakers that are reasonably unfussy about placement.